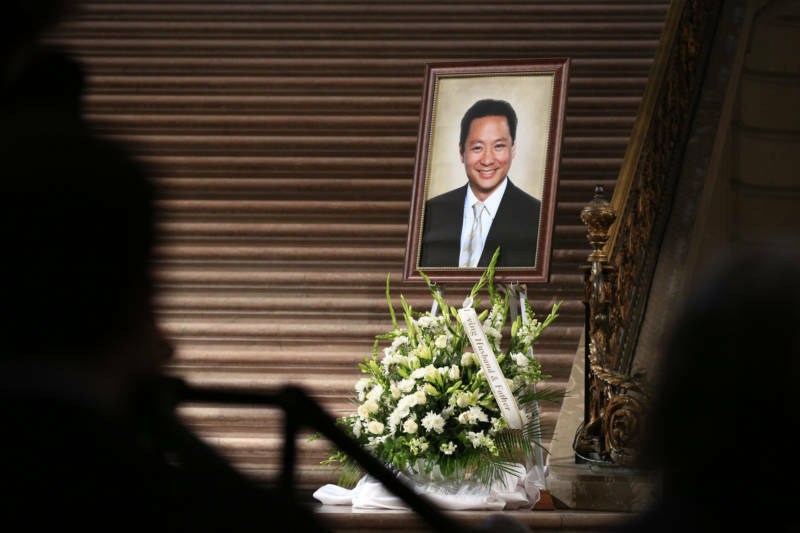 San Francisco Public Defender Jeff Adachi died due to a combination of cocaine, alcohol and pre-existing heart problems, according to a report from the city's medical examiner released Friday. Adachi, 59, died Feb. 22. He reportedly suffered trouble breathing while out to dinner in North Beach. Paramedics later transported him from a residence on Telegraph Hill to California Pacific Medical Center's Pacific campus on Buchanan Street, where he died. The official cause of death is "acute mixed drug toxicity with cocaine and ethanol, with hypertensive atherosclerotic cardiovascular disease as a contributing factor." According to the medical examiner's report, Adachi's blood contained small amounts of cocaine and alcohol at levels consistent with Adachi having taken them some time on the day of his death. "The heart, with a significant amount of coronary artery disease and fibrosis already present, would have worked even harder with stimulant substances such as ethanol and cocaine in Mr. Adachi's system," the report says. "At some point, most likely during dinner, his already compromised heart could no longer sustain the amount of cardiac stress caused by these stimulant substances," the report goes on to say. A spokeswoman for the public defender's office declined to comment on the cause of death ruling. KQED's Scott Shafer contributed to this report.